I am sorry for the title of this blog post. After publishing almost 500 images on my site, it gets really hard to come up with something original. There are times when I know what the title of the post is before I edit the photo. Usually, it expresses something about the trip I was on, or the feeling that I had when I captured it. Other times, I will finish editing a photo, and just come up with absolutely nothing for the title. It is times like these, that I end up with a lame title like this one. I am not sure why I couldn't come up with something better, as I was with my son as we scouted lighthouses for his short film. It was quite a magical evening and an unexpected one. We had stopped in Edgecomb, Maine at a hotel that I knew nothing about. The reason I stayed there was that it was relatively near the Pemaquid Point Lighthouse that I wanted to shoot at sunrise the next morning. 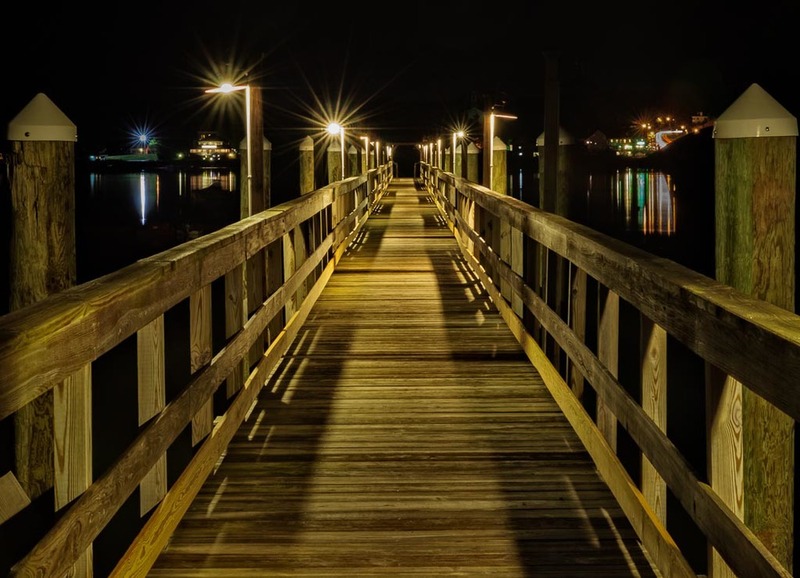 After scouting out the lighthouse and having dinner, we noticed that the hotel had one of the longest piers I have seen and was lit wonderfully. I got out my gear and we spent a couple of hours talking and shooting.